Romare Bearden (1911-1988), the great African American artist, spent much of the last two decades of his life on the Caribbean island of St.
Martin. 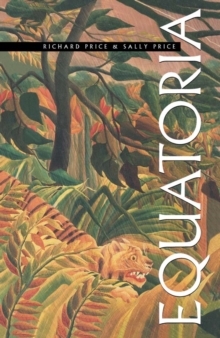 This tropical experience influenced not only the work (mainly watercolors) that he produced while in the region but also the imagery of rural North Carolina and Harlem that he created during his final and most productive years. Best known for his paintings and collages of jazz and the rural South, he was honored by a major retrospective of his life's work at the National Gallery of Art in 2003. Bearden was explicit that, for him, the Caribbean was vital. "Art will go where the energy is. I find a great deal of energy in the Caribbean. . . . It's like a volcano there; there's something unfinished underneath that still smolders. 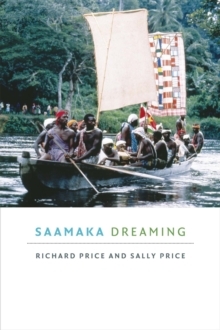 "In this full-color work, lavishly illustrated with 130 Bearden paintings as well as many photos of him and his friends in St.
Martin, distinguished scholars Sally Price and Richard Price explore Bearden's Caribbean experience with an insider's eye. Friends of Bearden, such as poet Derek Walcott and writer Albert Murray, contribute their critical assessments of Bearden's legacy, through interviews with the authors. Commentary by others, such as James Baldwin, Alvin Ailey, and Ralph Ellison, help round out the picture. 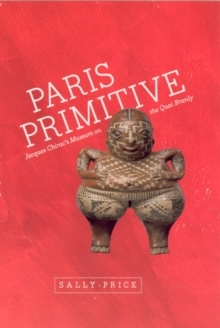 The book focuses on several themes that Bearden treated in his Caribbean work. In his "enchanted places," a lush forest provides the setting for sensuous female nudes. His "Obeah series" explores the mysteries of local religious life, depicting a variety of ritual specialists in trance. And his "Carnival series" bursts with the energy of that quintessential Caribbean celebration. 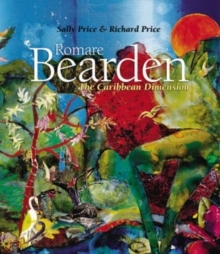 In this book, the Prices reassess Bearden's Caribbean experience, locating it at the very center of his artistic legacy. Pages: 192 pages, 79 color, 105 b/w illus.